In 2011, there were more than 85,000 fires in nonresidential buildings that resulted in well over 1,000 injuries to civilian workers as well as 80 fatalities. Property damage was in excess of $2 trillion dollars. Protect your business with Tri-City Alarm’s comprehensive fire prevention and alert system. 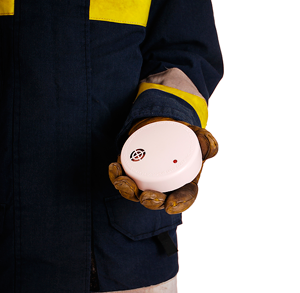 Arm it with a monitoring system guaranteed to immediately react to a fire-related emergency and technology that identifies the location of activated alarms. Has your building had a more than one or two false alarm systems over the past year? If so, it may be time for an alarm upgrade. Contact us for a free consultation on your existing system. Tri-City Alarm’s fire detection systems automatically detect smoke, heat, and changes in light that can be caused by slow, smoldering fires not detected by standard smoke alarms. Depending on the property, photoelectronic or optical sensors are recommended to detect light changes. Strobe lights are included with the system to alert hearing-impaired persons to a real or potential fire danger. Once the alarm is sounded, building sprinklers will be activated. Tri-City Alarm’s fire experts are knowledgeable about the requirements for alarming commercial sites in different jurisdictions and will ensure that your fire detection and prevention system meets specific codes. We will also confirm that our systems meet insurance stipulations. Staff training on fire prevention and security is also available. Tri-City Alarm will conduct periodic inspections of your fire alarm systems and alert you to changes in local fire codes that may require an upgrade. Don’t let yourself or your employees fall victim to elements that can quickly overcome even the strongest person. Tri-City Alarm offers life safety alarm products that detect and alert to excessive heat, smoke, flood, and carbon monoxide. Heat Sensors. Heat is often the first evidence that a fire may be developing. Unfortunately, this often occurs out of sight, in electrical closets or utility rooms–small spaces where office staff rarely venture. Combined with smoke detectors, heat sensors can provide very early warnings for potential fire so proper steps can be taken to prevent fire or an explosion. Smoke Detectors. Smoke detectors provide another early warning for potential fire. Their detection systems are similar to that of a smoke alarm, which is often triggered when room temperature becomes too high or a maximum amount of smoke particles have been detected. Flood Detection. A flood monitoring and alert system can prevent thousands of dollars in water damage to your business. Tri-City’s flood detection system will automatically shut off the water supply when leaks are detected and send an alert to a designated contact person. Carbon Monoxide Detection. Each year, hundreds of Americans die from accidental carbon monoxide poisoning and thousands more are hospitalized. Don’t let yourself or your employees fall victim to this colorless, odorless gas. Get a carbon monoxide detection system that alerts your staff before this deadly gas takes over. Contact Tri-City Alarm today at for a complimentary and thorough life safety and security analysis.